The Trust provides a range of acute and specialist health services to well over three quaters of a million patients a year and is now a Foundation Trust. 'Working in partnership we want to be the first choice provider of health care services to the people of Portsmouth, South East Hampshire and beyond'. The Trust would like to invite residents of Portsmouth and SE Hampshire to become members of our Foundation Trust. If you have any problems visit a doctor immediatly to solve any issues regarding your health. 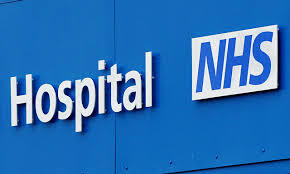 Portsmouth Hospitals NHS Trust,	is	it	any good? Welcome to a critique of Portsmouth Hospital NHS trust. If you have come to this website and are looking for the main hospital site please navigate now to Portsmouth Hospitals NHS Trust. "have you had a good or a bad experience in either queen alexandra or st mary's, we would love to hear from you..."
Current Hospital Departments including Obstetrics & Gynecology, Breast Screening, Maternity, Urology, Child Health, Genito-urinary Medicine, ENT, Maxillofacial, Ophthalmology, General Surgery, Oncology, Orthopaedics, Rheumatology, Intensive Care, Audiology, Cardiology, Haematology, Diabetes & Endocrinology, Dermatology, Respiratory Medicine, Neurology, General Medicine. Clinical support services include Pathology, Imaging, Pain Clinic, Dietetics, Infection Control and Neurophysiology. The Accident and Emergency department, at Queen Alexandra Hospital is the busiest on the south coast of England and handles approximately 190,000 people each year. The 58 bed Medical Assessment Unit (MAU) provides rapid diagnostics for patients admitted as emergencies. Please note that this website is in no way associated with Portsmouth Hospitals NHS Trust, nor do any of the views expressed within this site necessarily fall in line with current NHS doctrine. The home of the Royal Navy and internationally renowned visitor destination is also home to world leading businesses such as BAE Systems, EADS Astrium, IBM and Pall Europe. New developments such as Voyager Park and Lakeside North Harbour are helping to ensure that Portsmouth continues to be an attractive location for many businesses. "Shaping the Future of Portsmouth" is the city's physical, social and economic regeneration strategy that is being implemented by the city council in partnership with the local business community. Once the home of great writers like Charles Dickens and Sir Arthur Conan Doyle, we want you to relocate and invest here to help us write Portsmouth's next chapter. The wider city region that encompasses the towns of Fareham, Gosport and Havant is also being enhanced as a place for business, residents and visitors. New developments include the Solent Enterprise Zone at Daedalus that is helping reinforce this region's reputation as a destination of choice for marine, aerospace and aviation businesses.